There are no comments for Colmar - France. Click here to post the first comment. Colmar is located in northeast France near the Germany border, and not far from Switzerland, as well as a short trip from the Rhine River. 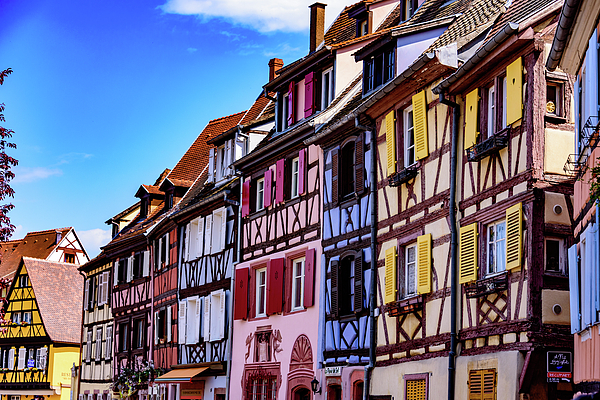 Colmar is a very popular tourist stop and old town Colmar has cobblestone streets lined with half-timbered medieval and early Renaissance buildings. 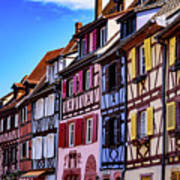 It maintains a country town atmosphere which contributes to its charm. The many canals in the city give reason for the French to refer to it as… la petite venise… The numerous vineyards and wineries are known worldwide for the output of Riesling and Gewurztraminer wines which are grown in the area. 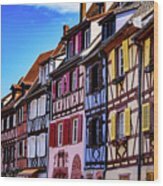 Colmar is the birthplace of Frederic Auguste Bartholdi best known as the designing sculpture of Liberty Enlightening the World, more commonly known as the Statue of Liberty which sits in New York city harbor.